È in grado di produrre immagini a scansione progressiva brillanti e prive di sfarfallio, con luminosità eccezionale e colori perfetti. • Display 16:9 Full HD per la migliore esperienza visiva. 16:9 Full HD. 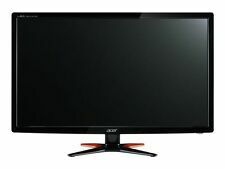 Acer TFT LED Monitor 24" B246HLwmdr Full HD. Lautsprecher:2 x 4 W Lautsprecher. Smartphone Akkus. Smartphone Netzteile. Taschen/Schutzhüllen. Zustand:Gebrauchtgerät gereinigt getestet, voll funktionsfähig, Das Gehäuse weist minimale Gebrauchsspuren auf. Dell model number - MY546. 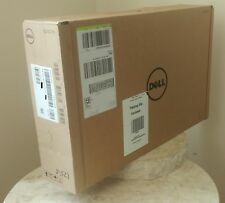 Grade A refurbished Dell 20.1" 1600 x 1200 TFT. Condition - All monitors are checked to ensure the screen is in perfect working order. Screen size 20.1". This TFT screen is provided with a UK power lead. vom Händler mit Gewährleistung / mit Rechnung mit Mwst. Model: Wincor Nixdorf BA72R 12 "TFT monitor POS 800 x 600. Manufacturer: Wincor Nixdorf. TFT monitor. These Monitors are fully tested and in working order. Only monitor itself. Will have sign of usage or scratches. Cables and Accessories. Monitor Stands. In reality this is likely to be within 24 hours dependant on how busy we are. You may collect. We are I.T Recyclers based in the West Midlands. Variation in these will invalidate warranty. • Display 16:9 Full HD per la migliore esperienza visiva. porte DVI 0. porte VGA 1. Eccezionali immagini LED con colori vivaci. • Tecnologia a LED per colori vivaci. porte HDMI 1. • Design compatto per risparmiare spazio. VisiPOS PLUS è realizzato secondo standard industriali, con inclinazione regolabile ma sempre molto stabile alla pressione. • Monitor touch resistivo 5 fili. • Touch Screen: resistivo, 5 fili. • Pannello LCD: 15.0” (304.1 x 228.1), TFT XGA, risoluzione. 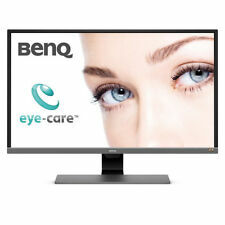 Neues AngebotBENQ GAMING MONITOR ZOWIE XL2740 27"
X5 Dell Professional P1911b 19" Widescreen LCD Monitor. You can also change between landscape and portrait views to match the individual application demands. The P1911 monitor is very easy to connect. HP U160 15.6" USB Portable Widescreen LED LCD Monitor w/ USB Cable, Manual and CD install all included. 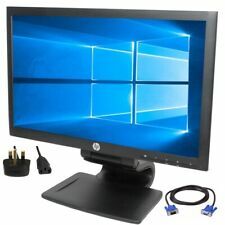 HP U160 15.6" USB Portable Widescreen LED LCD Monitor w/ USB Cable, and Manual. Includes box, manual, CD install and monitor. Ingresso segnale DVI-D, VGA, DisplayPort. Interfacce DVI-D, VGA,Display port, USB 2.0. Display 19.5" Polllici 16:9 Led. Orari di lavoro P.iva: 05294791008. Via Casale Romani, 1 Lariano (Roma). ASUS Smart Contrast Ratio (ASCR) : 80000000:1. Pixel Pitch : 0.233mm. Viewing Angle (CR≧10) : 178°(H)/178°(V). Condition: Used, Tested Working. 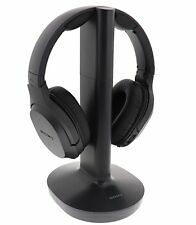 Not original stand, 3M stand pictured is included. Panel Size : Wide Screen 27.0"(68.6cm) 16:9. Apple Cinema A1082 23" Widescreen LCD TFT Monitor. Condition is Used. The monitor has a pink hue which is common for these older monitors. Does not include power pack and kettle lead. The FlexScan EV series utilizes a hybrid solution to regulate brightness and make flicker unperceivable without any drawbacks like compromising color stability. Adjust the screen to your ideal viewing position with EIZO’s versatile FlexStand. Die Monitore sind in technisch gutem Zustand, weisen jedoch optische Mängel wie Kratzer und/oder vergilbte Gehäuseteile auf. Die Bilder zeigen beispielhaft eines der Geräte. Ihr Partner für gebrauchte IT-Geräte. 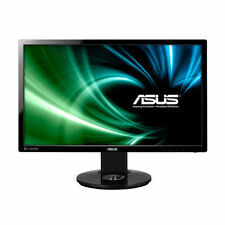 Learn more aboutASUS PG279Q. 2560 x 1440 (2K). Adaptive Sync Technology. G-Sync (NVIDIA Adaptive Sync). 16.7 Million. 100 x 100mm. 100 - 240 VAC, 50/60Hz. 21.75" x 24.40" x 9.37" w/ stand 14.29" x 24.40" x 2.60" w/o stand. Immagine/Display tipo schermo LCD. VGA (analogico). Eccezionali immagini LED con colori vivaci. Risolveremo in modo corretto e professionale il problema. Senza piombo. Cabinet Colore. 30.000 ore. In funzione: 3.658 m, Non in funzione: 12.192 m.
Display 19" Polllici 4:3. Lunedì - Venerdì 09.00 - 17.30 orario continuato. Orari di lavoro P.iva: 05294791008. Via Casale Romani, 1 Lariano (Roma). newcam srl. VENDITORE PROFESSIONALE . Connettore vga dvi. diagonale 19"4:3. Per qualsiasi problema contattatemi. The sale includes only what you see in the picture. MISCELLANEOUS - BILLING. The NDOA warranty does not cover "aesthetic defaiance" (scratches, signs of wear etcc. ). 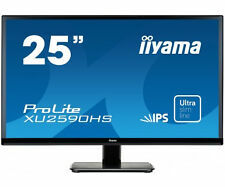 26"(25.5) NEC MultiSync 2690WUXi 2. 8 ms 1920 x 1200. For Graphics Photography Applications. This allows you to use the monitor with up to 3 computers without the need for a video switchbox. ColorComp technology adjusts luminance and color values to provide even color across the entire screen. 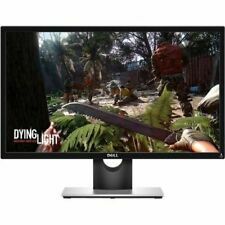 Dell P2415Qb - Ultra HD 4K Monitor 24-Inch Screen. Condition is used but excellent. Shipped with UPS Ground. DELL 2208WFP. 16:10 Buiseness LCD Flachbildschirm. BrightView-Technologie sorgt für ein klareres Bild mit leuchtenden Farben. Der DELL 2208Wpf LCD LED Breitbild Flachbildschirm bietet folgende Funktionen. 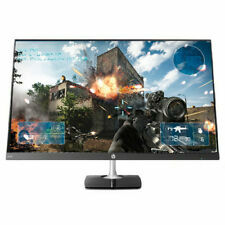 Full HD Display You're in front of your monitor for hours on end. Simply put, everything looks more detailed than standard HD. Black Stabilizer Keep visibility even in dark scenes. Wall Mountable This monitor gives you the freedom to take it off the desk. ThinkVision LT1421WD. Screen Size. Touch Screen. USB cable and screen cover included. We recognize and respect your privacy concerns and expectations about how we use this information. We want you to know about our privacy policies and practices, and what we do to protect your Personal Data. Refresh Rate: 60Hz. Samsung Color Display Curved Monitor. 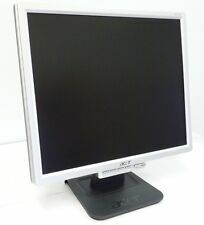 Refurbished Monitor have been thoroughly tested to ensure that they are in working condition. Smudge on lower left corner. Model Code: C32F397FWN. 100% Original. We Have Continually Grown By Providing Quality Deals At Low Prices. 100% Genuine. This is in USED CONDITION. USED PRODUCT. 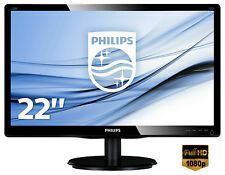 Fujitsu Scenicview 22" LCD LED Pivot Monitor B22W-6 Displayp. VGA DVI USB Audio. Lampen & Leuchten. Das B22W-6 LED mit 4-in-1-Standfuß bietet ein optimiertes ergonomisches Design und Benutzerfreundlichkeit für den intensiven Büroeinsatz. It is in excellent condition. No major physical flaws. Full HD 1920 x 1080 resolution at 60Hz (max.). 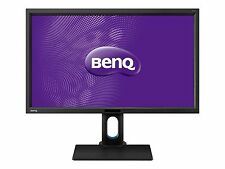 Includes Base Stand VGA – DP (DisplayPort) – Power Cords Included. Includes LCD Panel, Base Stand - VGA, DP (DisplayPort) and Power Cables. 1920 x 1080 at 60 Hz. No converter or adapter board needed! Monitor is compatible with JAMMA boards. New 19" CGA VGA LCD Display Monitor. This is truly a plug and play alternative to using a separate CGA converter on a. Accepted Input: CGA 15K 16K 17K Hsync.